Community Care reports that Dilnot who is chairing the latest in a long, long line of consultations into care funding has heard overwhelming opposition to retaining the £23,000 savings threshold before people have to start paying towards their social care needs. Charges for social care are a delicate political issue so not content with one report, each government seems to want to commission a dozen until they find one that says what they want to say politically. As someone who doesn’t have any ideological issues with means-testing, I find the constant pushing of limits hard to understand. If someone has money, surely they can and should pay for a service and if someone doesn’t have the money, the state should subsidise. Seems quite a good system. That’s not to say there aren’t problems with the system as it is at the moment. There are lots. It is overcomplicated for a start. There is an element of the ‘postcode lottery’ about it. The costs are increasing rapidly and, this is the rub, no-one wants to pay for social care. No-one. Whether they have £50 in the bank or £5000 or £5000000 – people have become used to receiving health care free and seem to make assumptions about the provision of social care on the same basis until they are actually made aware of the costs involved. One of the most perfidious arguments I come across is the ‘I/my mother/my gran worked hard all her life so why should she pay when Mr Brown who has been on benefits all his life doesn’t?’. Perhaps because you/your mother/your gran actually have the money to pay and Mr Brown doesn’t. There is a lot of righteous indignation around in this country with people measuring what they have against what others have and what they get against what others get and seeing things as ‘unfair’. Unfair is a government that gives those who ‘have’ a free ride even if they have assets in the hundreds of thousands and restrict access to services for people who have the same and higher needs and fewer assets to pay for them. Maybe you would prefer Mr Brown’s life of poverty on benefits or in a low paid job to your life where you’ve received a dignified wage and been able to save? Or does it all come down to stamping ones’ foot and wanting to save your children’s inheritance? I know this isn’t a popular view. Certainly Dilnot is going to reject it. The thought of – gasp – having to pay for social care if you have savings is such an anathema to the middle classes who have the loudest voices in the political process that it seems already to have been summarily dismissed out of hand. The thought of having to sell the home to pay for care has been put up as the massive failing in the current system. Is it a failing? I’m not sure. The houses are are discounted from the sums if there is a partner who is disabled or over 60 living in them. A charge can be put on the home by the local authority so the sale can be delayed until after the death of the person in question. Rental charges can be used to pay towards care fees if the family doesn’t want to sell the home. Anyway, that’s likely to change because the home-owning electorate don’t like to pay for care for their parents when Mr Brown-on-benefits my be getting something for free. One thing I am in favour of though, is the capping of care costs at a certain level if someone has very high needs. We used to have this in the local authority but as we’ve moved into more austere times, it has been abolished. While I think means testing is, by its nature, fairer, I don’t think anyone should be penalised if they have extremely high care needs. The problem of course is that if people who have funds won’t and don’t pay – then who will? Why the state of course. Perhaps through the hideously conceived ‘insurance’ policies that the Conservatives dreamt-up pre-election which showed an ignorance of the details of care but could ‘insure’ someone with a lump sum payment (£8000 was suggested) against care home costs in the future. Another of Lansley’s gems. We really are seeing the measure of the man now. I’ll be following Dilnot’s recommendations with interest. Just as I’ve tried to follow the very frequent and oft ignored proposals that have popped up again and again about the funding of long term care until the music stops and the government decides on the one that will win the most votes for them. It’s a shame that so many games are being played in the name of ‘fairness’ where ‘fairness’ seems to only be referring to the wealthier, home-owning middle classes – but that’s where the votes are. Cynical? Well, perhaps just a little bit! I haven’t read the Health and Social Care Bill. I have glanced at it. I tried to look at anything connected with Mental Health and Social Care and there are a few bits and pieces nestled in there towards the end but the problem with reading primary legislation is that, well, it has a language all of it’s own and it isn’t a particularly easy read compared to White or Green Papers. That’s my excuse out of the way. I have, instead, read through some of the commentary about the Bill. I retain all my reservations. In fact, I have some increased ones about the role that the private sector is set to have in the healthcare ‘business’. I find it hard to comprehend how much of a dissonance from Cameron’s mealy-mouthed words about protecting the NHS through the election campaign and the Coalition Document’s promise of ‘No top-down reorganisation’ of the NHS. Ah, say those whispering Tories, this is not ‘top-down’, this is ‘bottom-up’ reorganisation. 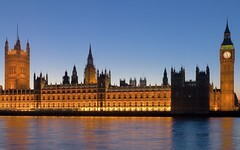 So what, exactly, is the government imposing new systems and yet another reorganisation – if not ‘top down’. I’m no great fan of much that the last government did so I can’t say Labour would be any better. It just feels so hopeless to cry into the night sometimes. On a local level, we are losing beds and losing wards. That isn’t a far off fiction. That’s happening today. They probably haven’t been noticed because they are psychiatric wards and hospitals rather than cancer or paediatric beds but remember we were there to warn you.. sigh.. I wish it didn’t have to be that way. The Guardian has a good summary of the main points. Apart from the abolition of the PCT and the move to GP-led consortia bidding for services, there are to be a few regulatory quangos. One, Monitor, which currently.. um.. monitors Foundation Trusts will be beefed up as all Hospital Trusts will have to become independent Foundation Trusts. It has delivered significant benefits in other sectors and has been shown to improve quality within healthcare and other sectors under the right circumstances. In particular we welcome the Government’s intention that we will become the economic regulator for health and adult social care. I’m sure they do welcome the fact that they will be one of the few quangos to be beefed up. It does seem more than a little self-serving as a statement though. I worry that social care regulation has been bundled in to an extent. It’s always going to be clear where the priority lies (clue – it won’t be with social care when it competes to time, money and resources against health). There is mention of the setting up of a body called HealthWatch which is supposedly some kind of ‘patient voice’. It’s reported to be some kind of ‘consumer champion’ service within the CQC. Well, that discredits it for a start as the CQC seems to be barely fit for purpose and working on less than acceptable staff ratios to keep the public safe. My concerns remain about the process of commissioning, the welcoming of competition into a market that is not neutral and cost should not be the base denominator of best. The process of change is tiring. I am no great fan of over-management but I can’t see how a public castigation of the higher echelons of an organisation makes it easier to stomach the change. Change does need to be managed, after all. We, right at the very bottom of the tier, way below the GP commissioners, will be expected to carry out a better job with less time. I do wonder what will happen to us in secondary health care services. Will we be ‘value for money’? How will our value be determined? On how much money we save the Trust by ‘keeping people out of now, non-existent hospital beds’? A few points that I did pick up were that some of the tasks delegated to PCTs currently will be shifted to already pushed local authorities. There are some increased responsibilities for public health and more specifically to my interests, the provision of the IMHA (Independent Mental Health Advocates). I see that local authorities will take responsibility for s117 aftercare services. A tiny line in the Act but potentially a MASSIVE increase in cost. Wow. That’s going to have some implications for the budgets of some care services. Particularly where I work in older adults services. 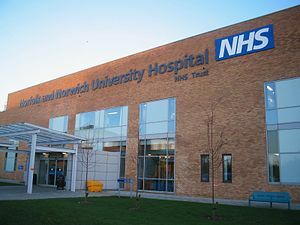 (N.B s117 of the Mental Health Act 1983 (as amended 2007) compels PCTs (soon to be local authorities) to pay for care for the patient in the community following an detention in hospital under Section 3 of the Mental Health Act. In Older adults services, that can (not always) mean nursing and residential care. Where someone has dementia, they don’t ‘get better’ so the s117 funding remains in place indeterminately. So basically, it means that there will be a lot of funding consideration for the local authorities to pick up and it could mean a lot of care home fees for which no payment can be taken from the families). The Bill also confirms the demise of the GSCC (General Social Care Council – which registers and regulates social workers in England) and authorises the HPC (Health Professions Council) to be renamed Health and Care Professions Council and to carry out the similar role. I remain basically ambivalent about this until I have reason to believe it may be better or worse than what we have at the moment. Here’s what I think about the future. And it’s pretty bleak so you might want to look away now. Private companies like Care UK – you know, the company that made a donation to Andrew Lansley’s private office – will run some of these GP consortia. It won’t be my GP making any choices. It certainly won’t be me making any choices. Cameron’s talk about choice is a red herring in my view. The talk about choice in the Putting People First and personalisation agenda has been more or less a complete whitewash. Some people get A LOT more choice – those with capacity, those who are able, those with carers able to article what they want, but for the majority of people I work with, that vestige of choice is an illusion. They are getting the same carers, for the same cost carrying out the same tasks with more paperwork and higher criteria for accessing services. So will be choice in the health service. Articulate and active participants, the ‘worried well’ and those who are able to shout loudest, will have the most choice. The choice for those who have acute illness will always be limited. Do I trust my GP to make the best decisions for me? Not particularly. I live in an area where there are likely to be lots of involved interest groups with far louder voices. Will my team be ‘competing’ with private companies able to specialise in managing some of the ‘more straightforward’ situations that we might deal with? Probably. I can certainly see adult care management services devolving now – indeed, that is already happening. Will it make for better services? Possibly – and I say that with a heavy heart – for some people. The problem will lie with those that the private companies don’t want to ‘hive off’. They will have little choice and with the resources being pushed into reducing cost, possibly fewer resources. I see this as a blueprint to increase health inequality and social inequality in England. I’m not joking when I write this but I am considering moving to Scotland where at least I have family links. I wonder how easy it would be to pick up the Scottish legislation and switch my English registration for a Scottish one.. seriously, if anyone does know the answer to that, let me know! I’ll write more about the government proposals to reform the NHS after the Health and SOCIAL CARE Bill is published tomorrow. Oh yes, did anyone pick up that slight subtlety there that it is supposedly covering social care as well as health.. sneakily hidden in.. er.. the title of the bill. You wouldn’t have thought it. But I shouldn’t be too cynical. That’s just the way that social care has and will roll. The BBC have a great ‘simple guide’ to the reforms and what they may mean. Most of my reservations are about the introduction of GP-led commissioning – so I’ll focus on that today. I know it’s presented as being about more choice and more efficient services – but, as I’ve said before, when the Tories introduced the so-called needs-led agenda of the NHS and Community Care Act in 1990, the talk was about improving efficiency, cutting costs and providing more choice – hmm, those words seem familiar. What were we left with? Centrally commissioned services that led to ‘bidding wars’ and reverse auctions so that the company that could provide the service at the lowest cost would ‘win’ the contract. No choice – perhaps less choice as the cheapest options had to be sought regardless of quality. Why does no-one look to the lessons that should have been learnt from the care sector? I know, there are some wonderful services out there and I don’t want to be dismissive but I feel strongly about the introduction of ‘the market’ to the care sector and I feel equally strongly about the potential failure of ‘the market’ in the health sector. The US is hardly a glowing example of an efficient and cost-effective health care system after all. I am not sure I buy into this ‘choice above all’ agenda. Choice is always going to be limited by cost. On a personal level, I live in one of the most deprived areas of the country. I don’t ‘know my GP by his name’. I don’t even necessarily trust the practice. My current GP practice was ‘taken over’ by the PCT (Primary Care Trust) for a while because of poor management and a few… financial shenanigans that led to all the doctors in the practice being dismissed. That’s a pretty big deal. I wonder how a similar scenario would ‘play out’ in the ‘new world’ – where there is no PCT to ‘take over’. But Lansley and Cameron probably haven’t considered those kinds of scenarios. I just hope they remember that we don’t all have local village practices that we’ve been with for years and where everyone knows us and smiles at us in the street. There are some of us living in very poor areas where some of the chronic health problems that are linked to poverty will very obviously and quite rightly take priority. So would I get the same treatment for a more minor ailment and a lower priority ‘condition’ as someone in Knightsbridge? I’m not convinced. Even less convinced because it won’t be my GP who is commissioning – it will be a private company that is hired by my GP. It will likely be the same people who worked in the PCT re-employed by companies like Care UK (a coincidence that they bankrolled Lansley’s private office?). So it’s likely to be the same people, doing the same job (probably for less money) but for the benefit of shareholders rather than the public purse. I don’t want to be a grumpy naysayer. I want the NHS to work and to work better. I await the publication of the Health and Social Care Bill with trepidation. I have reconfiguration fatigue already. The amount of money my Trust must have spent on change, and more change and even more change and then some more adjustments to that change would probably fund another ward. Or have retained one of the few that have closed. I want ideas that work. I want a system that works. I am just very sceptical. Perhaps it is up to the government to prove me wrong. I hope I am wrong. I’ve written a few times about some of the difficulties about managing and organising discharges from hospital so forgive me for reiterating previously presented points but I couldn’t resist because there’s an article about it in The Guardian who commissioned a survey of doctors. ‘Bed blocking’ refers to difficulties in discharging patients home from hospital for various reasons when they are ‘medically fit’ to go home. 251 (50%) said the problem known as “bed blocking” – which costs the NHS tens of millions of pounds a year and forces needier patients to wait on trolleys – was worse now than a year ago, while 200 (40%) said it had not improved. The poll was conducted for the Guardian by Doctors.net.uk, an online professional network to which 90% of UK medics belong. I’ve previously mentioned my distaste for the term ‘bed blocking’. I continue to hold that view. It seems to create a sense of misplaced guilt. There is a much longer term failing of systems that leads to this problem and there are often genuine fears, risks and complications that make discharges more difficult than initially presumed. Having been on the end of many countless angry telephone calls from doctors and nurses about ‘my patients blocking their beds’ – and – please forgive me if I repeat an oft-spoken personal anecdote – having heard a doctor actually blast off to a patient about the cost of keeping her in hospital (it may have been a valid point but it shouldn’t have been made on a ward with other patients within earshot), I think it didn’t need a survey to know that things are getting worse. For me, the problem lies with higher initial criteria for accessing lower level support at home and the increased charges. The removal of virtually all preventative services will lead to a higher strain in acute services. I just wonder where the 10% who thought the problem had improved came from. It’s obvious that a reduction of the eligibility criteria (FACs) will lead to more people not being entitled to care at home. The other, perhaps more important aspect is the increases in fees that local authorities are charging for care. Some people just don’t think they should be paying for care and there is a mentality that grew up with the establishment of the welfare state that believes absolutely in the ‘I’ve paid in so I should be able to take out when I need’ that resents paying for what is needed. I’m not making a moral judgement about that, by the way. I absolutely support a social ‘trampoline’ that sits underneath us to not only catch us when we fall, but to help us bounce back up to a level that allows us all to participate in society at a dignified level. One respondent to the survey said patients with severe dementia were spending months in beds intended for those with acute medical problems because the NHS does not have enough places in wards specialising in dementia care. Another said that as many as 80% of the patients they see on an elderly ward “are fit to leave an acute bed but there is nowhere else to go”. I can think of many examples from my own caseloads and certainly on my teams’ caseloads which concur with these statements. Far worse though are the months spent in psychiatric hotels when no suitable placements have been found. We have a serious shortage of beds not helped (obviously!) by a few wards which had specifically cared for older adults being closed down in a money-saving rush. Money saving? It all spills over. Now there is nowhere to transfer some of those patients in the general hospitals. 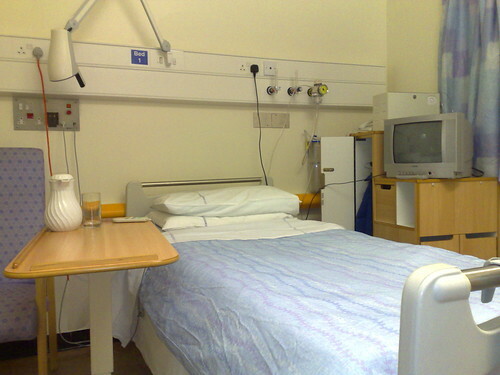 There are people who need hospital admissions who cannot access beds or are placed on inappropriate wards. It costs a lot. While there are initiatives that have helped ease some of these problems – the re-enablement service that provides a spike of (yes, free) home care support to help someone in the weeks out of hospital and the provision of both interim and intermediate short term residential and nursing placements while a solution to find someone either a longer term placement or some rehab to get them home. Neither of these services in our area at least, have been sufficiently tailored to people with dementia. There is a general wider feeling in general services that when someone has dementia they may not be able to get the most from a rehab service. This is my concern about Lansley’s push into promoting intermediate care and speeding up hospital discharges. The Department of Health said it was making an extra £162m available between now and the start of April to help patients leave hospital sooner and live independently at home. “It’s really important, particularly at this time of year, that we help people to leave hospital as quickly as they can, when they are ready. 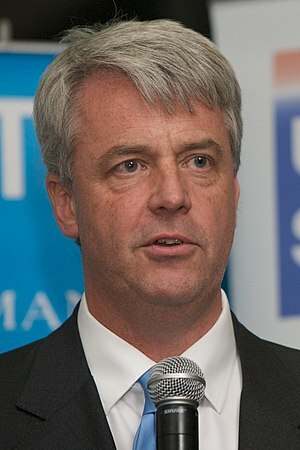 The latest figures show that 2,575 beds are unavailable due to delayed transfers of care,” said Andrew Lansley, the health secretary.The money is intended to free up hospital beds by helping older people get more support before and after they leave and to reduce the high number who return to hospital soon after discharge. The problem in my eyes, and yes, I accept that I see a particular area of social care in focus due to the nature of my job , is that not everyone can live independently at home and there is a lack of good quality local placements which has as much led to a delay in discharge. Subsidising home care for six weeks just masks the issue that people are being asked to pay for their own home care in the longer term. Sometimes the issues relate to unsuitability of housing and no-one can sit out a housing waiting list in a hospital – nor can the intermediate or interim beds accommodate them. Locally, I can say absolutely that we need more resources available to people with dementia. We need wider work on understanding and supporting people with dementia by care staff. It isn’t an easy job and a lot of people don’t necessarily want to do it – especially at minimum wage and poor contractual terms. I think the government’s NHS ‘efficiency’ savings may come unstuck by failing to comprehend the links and costs between health and social care. There’s been a perfunctory nod in the direction of social care by the ‘additional money promised’ by the Health Secretary and Care Services Minister but anyone who thinks that that money will be safe in the face of cuts and non-ring fenced local authority spending is living on a different planet. It isn’t good. It isn’t looking good. No matter what Lansley says to people who don’t see this situation every single day and whom he manages to fool (indeed, maybe he has fooled himself and truly believes his own figures), things are not going to get better. And from someone who desperately wants to be an optimist at heart, it’s difficult for me to say that.